Home Health Recipes You Can Try For Honey! 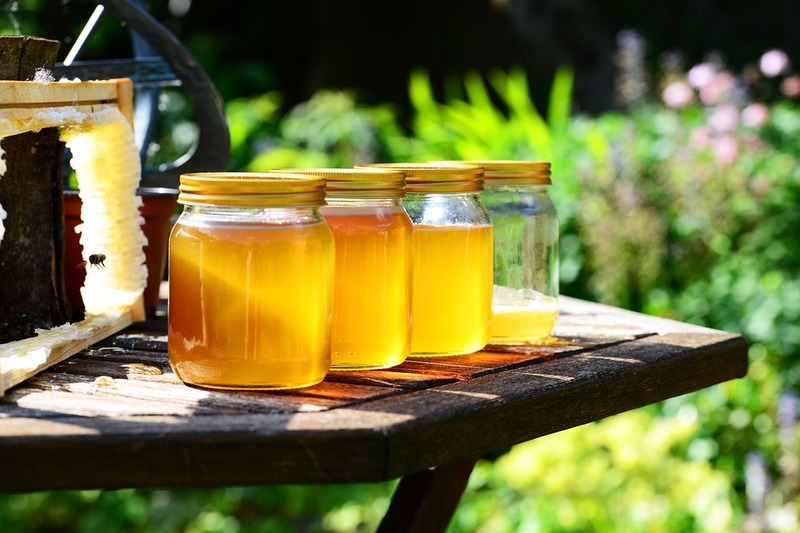 Popular in the kitchen, honey is the healthy natural sweetener that can offer many varieties of nutritional benefits. Try out these honey recipes you use at home. Combine 1 teaspoon water and 1 teaspoon honey in a small bowl. Rub mixture over cut sides of nectarines. Arrange nectarines on grill grates coated with cooking spray; grill, uncovered, 2 minutes on each side. Remove from grill; cut each piece into 4 wedges. Coat bread with cooking spray. Arrange on grill grates; grill 1 minute on 1 side or until lightly browned. Remove from grill. Reduce grill heat to medium. Divide nectarines evenly over toasted sides of bread. Top evenly with cheese. Arrange on grill grates; grill, covered, 1 1/2 minutes or until cheese softens and bread is toasted on bottom. Arrange toasts on a platter; drizzle with remaining 5 teaspoons honey. Drizzle with balsamic glaze. Garnish with microgreens or sprouts, if desired. Serve immediately. Next Article : Egg Recipes That Can Benefit Your Body!